A video of passengers pushing an Ivano-Frankivsk – Rakhiv diesel train after it broke down has already gone viral. Unfortunately, the claim by the Ukrainian Railways public joint-stock company (Ukrzaliznytsia) that this incident occurred in spring 2017, when the company was under a different management, does not make the issue less serious. This is far from being an isolated case of a regional or commuter train breaking down because these trains are in the worst condition in Ukrzaliznytsia’s fleet. That notwithstanding, commuter trains remain one of the most popular modes of rail transport. 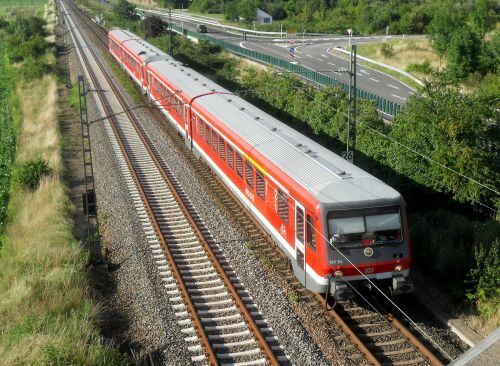 Commuter trains carry about 350 million passengers annually. This constitutes almost 80% of all the passengers transported by Ukrzaliznytsia and almost 25% of all the passengers transported in the country. Why are commuter trains in such a situation and how does Ukrzaliznytsia intend to solve this problem? Ukrzaliznytsia’s fleet of commuter trains consists of electric trains, railbuses, diesel trains, and trains assembled from ordinary passenger railcars with seats and pulled by locomotives. Even a single railcar pulled by a locomotive can operate on a route on which demand is low. Ukrzaliznytsia has a fleet of 290 electric trains, 150 diesel trains, and 14 railbuses. Approximately 12% of the electric trains, about 30% of the diesel trains, and 35% of the railbuses are not operating on routes. There is no statistics on locomotive-pulled trains assembled from ordinary railcars. On average, about 1,370 trains operate on commuter routes per day. The newest of them are railbuses. Ukrzaliznytsia purchased the first two railbuses in 2005. The Pesa company (Poland) manufactured almost all of them. The situation involving the remainder of the fleet is much worse. For example, most of the electric and diesel trains were built at the Riga wagon works (Latvia) and the Mávag plant (Hungary). These trains are now more than 40 years old. "Over 70% of the electric trains in the fleet have completed their service lives, and their level of wear is up to 85%. The level of wear of the diesel trains in the fleet is 97%," Ukrzaliznytsia said. According to estimates by railway experts, 70 direct-current electric trains, 23 alternating-current electric trains, and 55 diesel trains are in need of urgent upgrade. However, this is a very difficult situation. Ukrzaliznytsia bases its calculations on official statistics on the number of passengers carried and the load factor of trains. The average load factor of electric trains is 60% and the average load factor of railbuses ranges from 30 to 70%, depending on route. However, these figures can differ significantly from reality because there is no automated counting of passengers. For example, the number of railcars in Kyiv’s electric commuter trains on the Southwestern Railway was reduced from 10 to 8-6 last year, which resulted in overloading of the trains. However, according to official reports, these trains were not full. Commuter train services are the most neglected train services in the country. Ukrzaliznytsia has acquired at least 50 direct- and alternating-current electric trains, seven diesel trains, and 14 railbuses in the past 15 years. This is more than the rest of passenger trains, but the scale is not comparable in the context of passenger transportation. According to Ukrainian law, local authorities should participate in financing purchases of rolling stock for commuter-rail transport services in addition to Ukrzaliznytsia. In addition, the government should also provide money from the state budget for financing such purchases. "However, money for upgrading rolling stock is not allocated from the state budget or local budgets," Ukrzaliznytsia said. Local authorities have participated in the purchase of rolling stock only once in modern history. That was in 2012, when part of the money for purchase of a PESA railbus was allocated from the Crimean budget. In addition, commuter transport is the most unprofitable area of rail transport. According to Ukrzaliznytsia, the cost of long-distance transportation of passengers was 49.7 kopecks per passenger-kilometer while the cost of commuter transportation was 106.1 kopecks per passenger-kilometer in the first half of 2017. 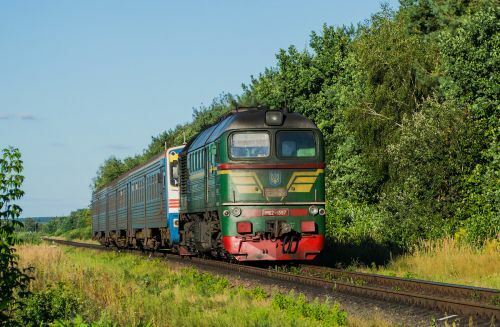 "The current passenger fares on long-distance routes are, on average, still three times lower than the cost of long-distance transport services while passenger fares on commuter routes are 7-8 times lower than the cost of commuter transport services," Ukrzaliznytsia said. "Calculation of transportation cost is quite a sore issue for Ukrzaliznytsia because there are many issues regarding cost allocation. Even ignoring this aspect, it is obvious that Ukrzaliznytsia’s losses in the commuter sector are often caused by incommensurately low transportation costs (compared with buses and shuttle buses, for example), as well as the lack of effective control over payment of transport fares," said Andrii Shkliar, a senior expert with CFTS Consulting. Ukrzaliznytsia reported losses of almost UAH 7 billion from passenger transportation last year, of which commuter transport accounted for about UAH 4.7 billion. 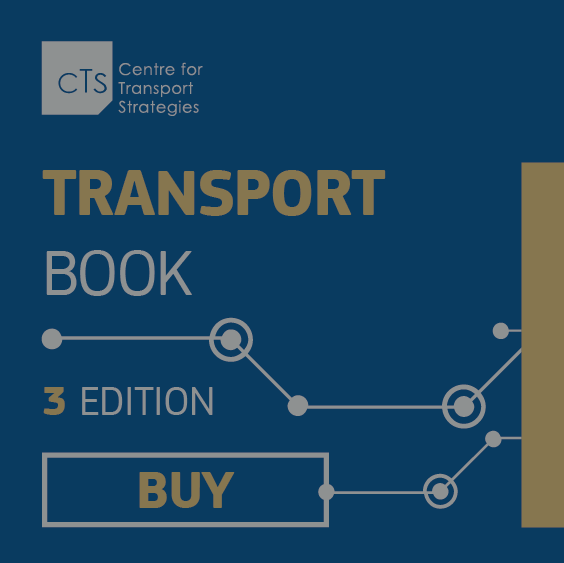 There are other problems, such as difficulties calculating the number of passengers that are actually transported and receiving compensation for transportation of the categories of citizens that are entitled to free public transport. If statistics from Ukrzaliznytsia is to be believed, about 70% of the passengers on commuter trains are entitled to free public transport. Central and local budgets owe Ukrzaliznytsia more than UAH 1 billion in compensation for transportation of this category of citizens. This debt has been accumulating since 2012. According to former deputy minister of infrastructure Oleksandr Kava, about 100 diesel trains and about 300 electric trains are needed in the coming years to solve the problems of commuter rail transport. "The estimated cost of an AC or DC electric train is UAH 440-450 million and the estimated cost of diesel train is UAH 200 million," Ukrzaliznytsia said. This means that Ukrzaliznytsia will need about UAH 153.5 billion to upgrade its fleet of commuter trains. Ukrzaliznytsia’s investment plan for the period of 2017-2021 provides for spending UAH 34 billion on passenger trains, including UAH 3.5 billion on purchase of diesel trains and about UAH 11 billion on purchase of electric trains. In addition, Ukrzaliznytsia has decided to focus on repair and modernization of its old rolling stock. The company plans to spend about UAH 10 billion on this by the year 2021. It was announced in late summer 2017 that Ukrzaliznytsia had repaired 80 commuter-train carriages (carriages for eight commuter trains) at the cost of UAH 265.3 million. Ukrzaliznytsia plans to repair 93 units of electric trains before the end of this year and overhaul 159 in 2018. For example, one such modernized train operates on the Kyiv-Fastiv route. Ukrzaliznytsia spent about UAH 46 million on its transformation and repair (the cost of repairing a unit consisting of two railcars was UAH 8.7 million). Such repairs can extend the service life of rolling stock by at least six years, according to Ukrzaliznytsia. Another option is to purchase second-hand rolling stock from Europe. Ukrzaliznytsia has confirmed that it is considering this possibility. Minister of Infrastructure Volodymyr Omelian said in October 2017 that Deutsche Bahn (Germany) could sell 100 used regional diesel trains to Ukraine "at residual cost." However, Prime Minister Volodymyr Groysman reminded Omelian about the experience of Vinnytsia, which received used trams from Switzerland, at a government meeting and asked him to work on the possibility of provision of used German rolling stock to Ukraine free of charge. A team of experts from Ukrzaliznytsia and the Ministry of Infrastructure traveled to Germany in November to study the possibility of operating German trains in Ukraine. "There are no questions about the quality of the trains. It is higher than the quality of those in Ukraine. Refitting them is also not a problem. We will make the final decision after studying the documentation," said Omelian. The trains in question have not yet been specified officially. However, they are most likely trains of the DB-Baureihe 628 model. "Two generations from 1985 and 1992, as well as the next series from 1995. Almost all of them have been mothballed since 2008, following the completion of a major railway electrification project," wrote Oleksandr Zavhorodnyi, who was the acting head of Ukrzaliznytsia from July 2015 to March 2016. The Baureihe 628 (and the 928 and 629 models) is a series of multi-purpose diesel trains operated by Deutsche Bahn. They can be used both in two- and multiple-wagon configurations. Part of the rolling stock has been mothballed, but some are still operating on non-electrified sections of the German railways. "These trains use the 1435 millimeters track gauge while the standard track gauge that is used in Ukraine is 1520 millimeters. Therefore, the German trains will need to be adapted to our railways. The main question is how much their adaptation and routine maintenance will cost," said Dmytro Vlasenko, a transportation expert. Ukrzaliznytsia refrains from estimating the cost of adaptation and routine maintenance of the trains. According to the company, calculations and of a set of acceptance tests need to be performed. "The question is what will need to be changed: wheel sets or a bogey. Many factors will affect the cost. It is necessary to see the design. However, technical performance of such work is not difficult, it does not take a lot of time, and it is not as expensive as buying a new train," said Ihor Kozachok, the chief engineer at the Express LLC’s Zhmerynskyi railcar repair plant.